The philosophy of perception investigates the nature of our sensory experiences and their relation to reality. Raising questions about the conscious character of perceptual experiences, how they enable us to acquire knowledge of the world in which we live, and what exactly it is we are aware of when we hallucinate or dream, the philosophy of perception is a growing area of interest in metaphysics, epistemology, and philosophy of mind. 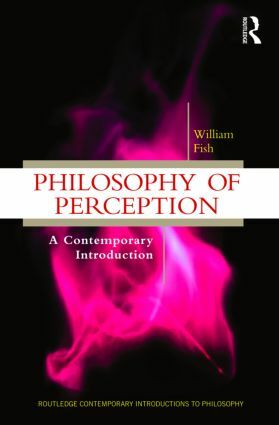 William Fish’s Philosophy of Perception introduces the subject thematically, setting out the major theories of perception together with their motivations and attendant problems. While providing historical background to debates in the field, this comprehensive overview focuses on recent presentations and defenses of the different theories, and looks beyond visual perception to take into account the role of other senses. With summaries and suggested further reading at the end of each chapter, this is an ideal introduction to the philosophy of perception.